The cartridges which the vast majority of customers want refilled are HP, Lexmark and Dell cartridges, because they are patent protected, and compatible (knockoff) cartridges aren't available. We have a start up kit attractively priced at $275.00, which includes everything listed below as well as free shipping to your door (shipping for non-US orders is $30). This kit is not subject to any discounts. 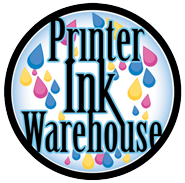 1 gallon of ultra-black, pigmented black ink which is compatible in HP, Lexmark, Dell and Xerox cartridges. 1 liter each of yellow, magenta and cyan ink which is compatible with HP, Lexmark, Dell and Xerox cartridges. a copy of all of our HP, Lexmark, Dell and Xerox refill instructions. Basic Start-Up Refill Kit - $275 (Not subject to discounts) - This kit includes everything listed above, and will pay for itself many times over as you refill your customer's cartridges over and over. Get started with your own business today. Expansion Module for Canon, Compaq, and Brother - $100 (Not subject to discounts) - 1 liter of black ink, 250 ml each of cyan, magenta and yellow inks, and any tools/ instructions (which are not included in the Basic Start-up kit) required to refill Canon, Compaq and Brother inkjet printers (except photo cartridges). Expansion Module for Epson - $120 (Not subject to discounts) - 1 liter of black ink, 250 ml each of cyan, magenta and yellow inks, one Epson chip resetter and any additional tools and instructions (which are not included in the Basic Start-up kit) required to refill Epson inkjet cartridges (except photo cartridges) - not recommended for Epson durabrite cartridges. Canon, Epson, Brother and Compaq Photo Ink Expansion Module - $38 (Not subject to discounts) - This is ink only - 250 ml each of photo cyan and photo magenta for Canon, Epson, Brother and Compaq photo cartridges. The tools and instructions are included in the respective expansion modules above.